What is E-Light (IPL+RF) technology ? 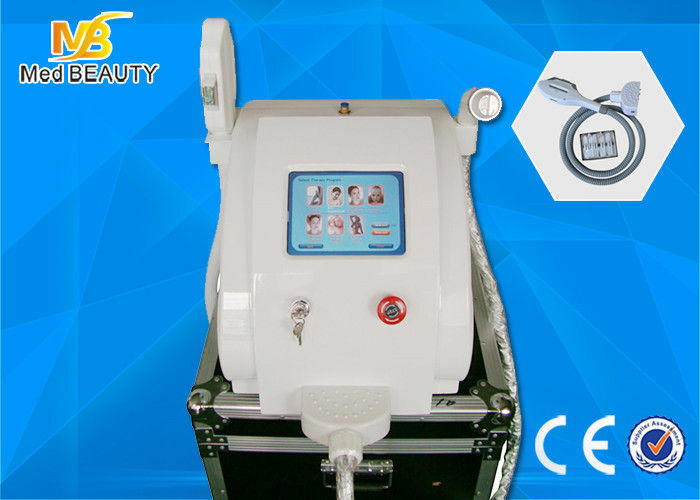 E-Light, IPL combined Radio frequency technology, uses Radio Frequency (RF) and Intense pulsed light (IPL) energies by the impedance differences between normal and abnormal skin tissue produced by selective light absorbing principle, it promote the RF transmission while remain a low light energy and assures greater safety and increases patient comfort. The light energy in E-Light technology is mainly used for adjusting the impedance values of the organization and guide the RF (radio frequency) energy in-depth concentration. With the skin cooling technology, the RF energy can get deeply into the dermis. In the low light conditions, E-light technology can strengthen the target Organization absorption of RF energy, thus avoiding the problem of main issue of the energy reflection and refraction. RF energy absorption is not affected by the impact of melanin. It is proofed can be used in dark skin and light colored sandy hair. The low energy pulsed light can reduce that pain and the risks of surgery. The system emits a broad spectrum of intense pulsed light through a small, smooth hand piece. The light is placed over the skin gently. Cut-off filters in the hand piece change the wavelength range allowing it to be optimized for different applications and skin types. The light penetrates the tissue and is absorbed by either the blood when treating vascular lesions or the melanin when treating pigmented lesions or for hair removal and then damaging them. The body's natural processes then remove the injured tissue giving the skin a more even and youthful appearance. And at the same time, production of the collagen in dermis will be prompted to increase the flexibility of the skin and get rid of fine wrinkles. The radio frequency face lift was approved by the FDA as a non-surgical treatment for wrinkles and facial skin imperfections. It is a proven medical procedure that requires no scalpels or sutures. It's also a popular choice for busy professionals who care about their looks. The treatment only takes about an hour, and full recovery is expected in a few days. The results take a bit of time to show fully though. Some results are visible immediately, while the full results take a few months to develop as the deep tissue layers heal. Pure RF energy is used to treat skin laxity by facial tightening, and is best suited to patients with mild to moderate sagging of facial tissues, usually those in their mid thirties to fifties. In combination with other modalities, RF can be used to enhance a variety of treatments including hair removal, photorejuvenation, pigmented and vascular problems, acne treatment. Shrink the dilation of facial vascular. Effectively cure facial redness (dilation of capillary vessel), remove facial redness. Effectively contract pore, remove or alleviate tumefaction and scar. Increase thickness of skin collagen and restore skin elasticity. Furthest clean or reduce freckle, sun spot, age pigment, acne and other kinds of pigment precipitation etc. Furthest clean or alleviate the pigment precipitation caused by suntan to whiten skin. Smoothen fine wrinkle or alleviate facial shrinks and dark eye rim. Improve the pigment precipitation caused by the traditional therapy, and meliorate minor skin pathological change. On non-facial skin: whiten body skin. Skin tendering can be achieved in combination with other cosmetology methods. Skin rejuvenation: smooth skin, remove fine lines, restore flexibility and tone of skin. Skin tightening: enhance skin metabolism, minimize pore size, improve skin texture. Remove or restrain excessive hair growth. Remove unwanted hair on any area of the body. IPL and RF head with unique Semiconductor Cooling. Quick result can be seen. treatment without pain. 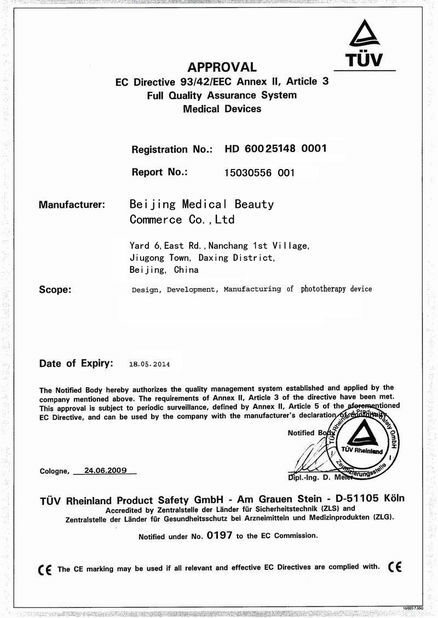 The imported sapphire light crystal, automatic controlling function ensure cold narcotic. The contact skin reach -4℃. Modular Design of inner structure, easy to repair. 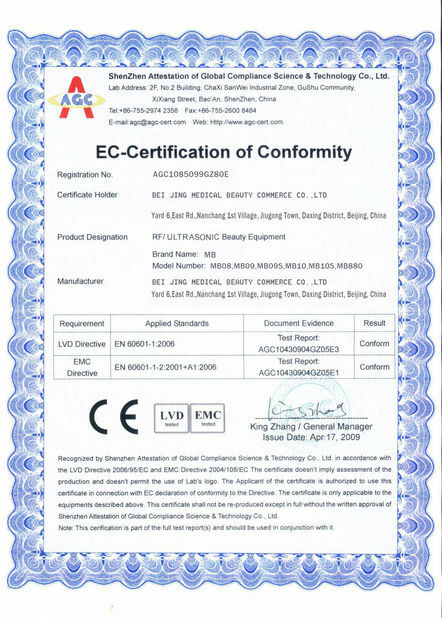 Imported components from Europe with quality guaranteed. Best cooling system (water + semi-conductor + fan + car pump ).